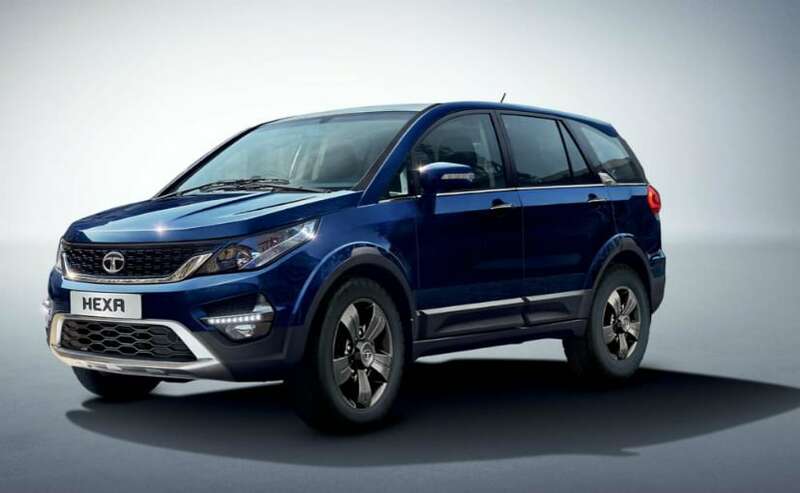 Tata has launched a new variant of the Hexa for the festive season. The Hexa XM+ gets a bunch of new features while engine specifications remain the same. Hopping on to the festive bandwagon, Tata Motors has launched a new variant of the Hexa called the XM+ which sits just below the top-spec XT variant. The Tata Hexa XM+ is priced at ₹ 15.27 lakh (ex-showroom, Delhi) and it gets additional features along with minor cosmetic updates as well. Tata's flagship SUV now gets new 16-inch alloys with a charcoal grey colour scheme along with fog lamps up front and a reverse parking sensor with camera as well. The wing mirrors are now electric and can be adjusted from inside as well. The cabin too gets soft-touch material on the dashboard along with a leather wrapped steering wheel and fully automatic temperature control with dual AC as well. S. N. Barman - Vice President, Sales, Marketing & Customer Support, Passenger Vehicles Business Unit, Tata Motors, "With Turnaround 2.0 in play, we have continued to deepen our focus towards catering to the evolving customer demands by introducing new products and variants at regular intervals. The Hexa has successfully established itself as a great lifestyle SUV and with the launch of the Hexa XM+, we are further strengthening this product range by offering more to our customers. We are confident that the XM+ will take brand Hexa a step ahead towards delighting our customers". Other new features on the Tata Hexa XM+ include cruise control, automatic headlamps and rain-sensing wipers too. The Hexa XM+ will continue to get features such as 8-colour ambient mood lighting, all-black interior and an optional electric sunroof, which are also offered on the standard Hexa XM variant. Tata is offering a 2-year warranty on the sunroof through its genuine accessories list. There are no mechanical changes. The Hexa continues to get a 2.2-litre which makes 154 bhp and 400 Nm of peak torque and can be specified with either a 6-speed manual or a 6-speed automatic gearbox.